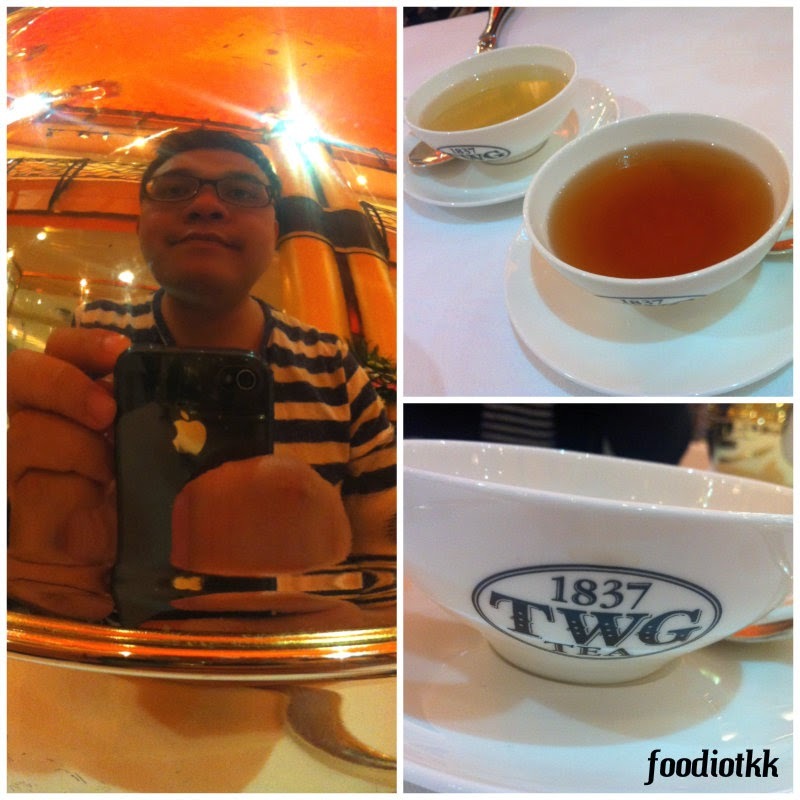 All the while I thought TWG is the shorts or re-branding for the famous Twinings Tea from England. 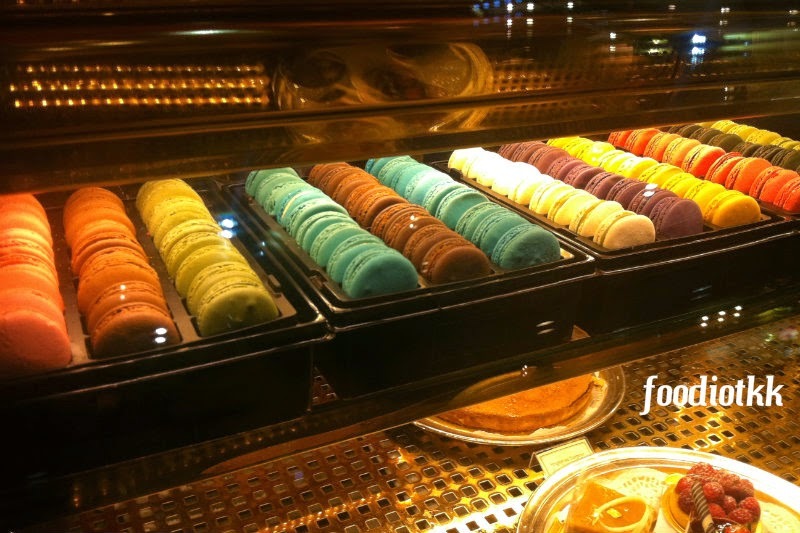 Only until a year ago during my visit to Singapore, I discovered the differences. 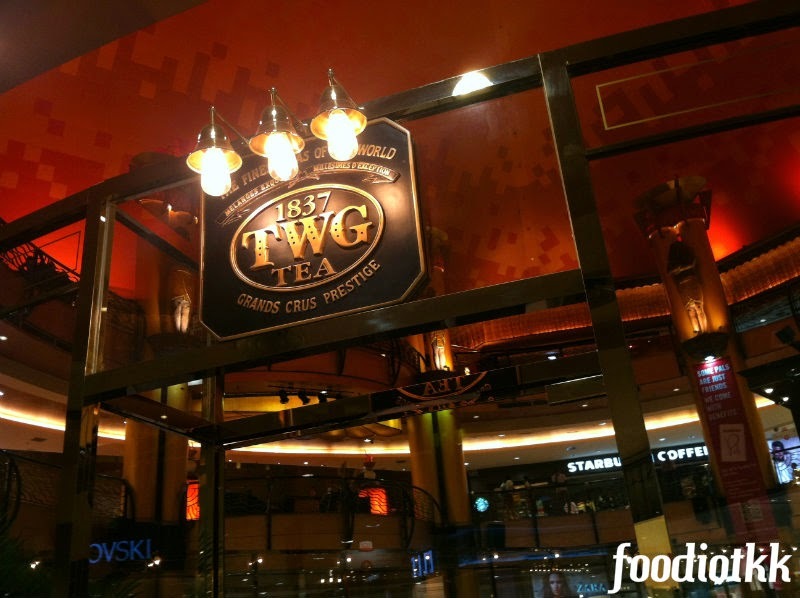 1837 TWG Tea is a young and dynamic F&B company established in year 2006 at Singapore by a group of elite who are Tea Expert, French Chef, and Marketing Directors. 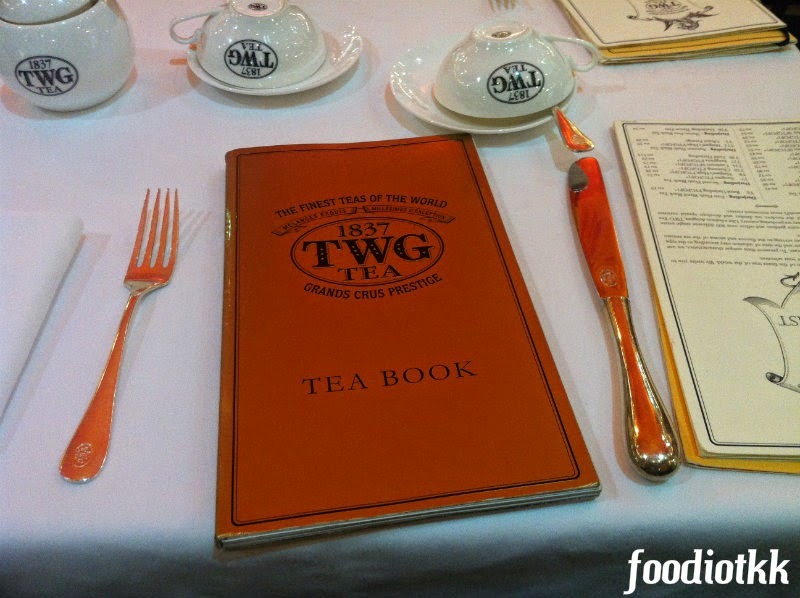 TWG emphasizes in producing and trading fine tea and the related products, throughout the years they have expanded into a multinational group of over 30 outlets selling over 800 types of tea! 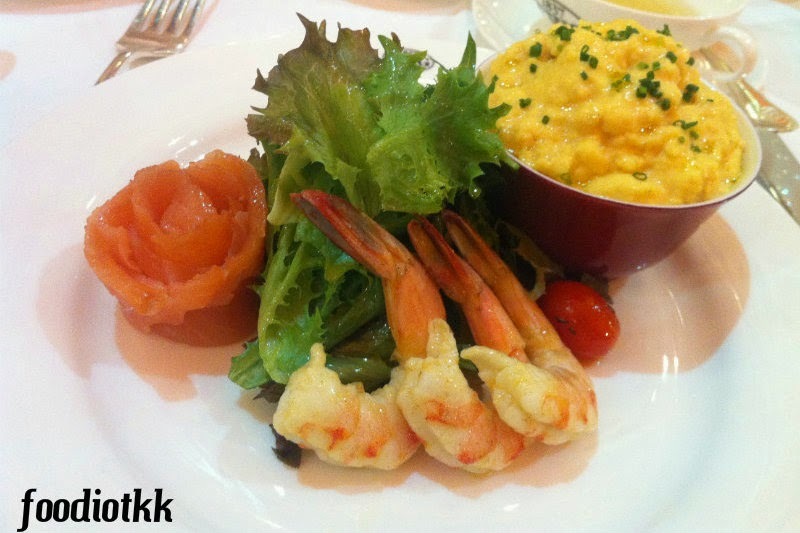 1837 is just the year marked in history which tea trade was made official in Singapore. 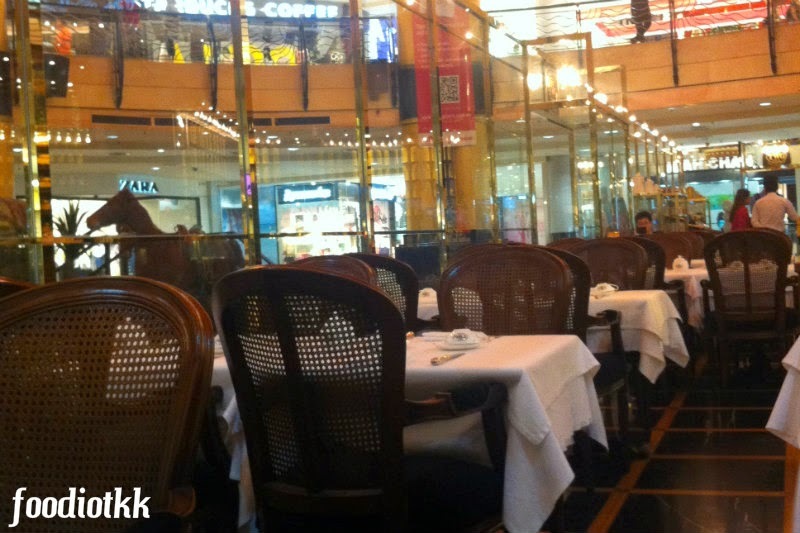 I was greeted by the friendly wait staff here and he introduced some of the tea to me, including the "Immortal Moment" tea which is a Ceylon Black Tea blend which cost around RM200+ per 100 grams (cannot recall the exact price...). Why is it so expensive? Because yellow gold is being used in the tea and it's believed to bring good health! 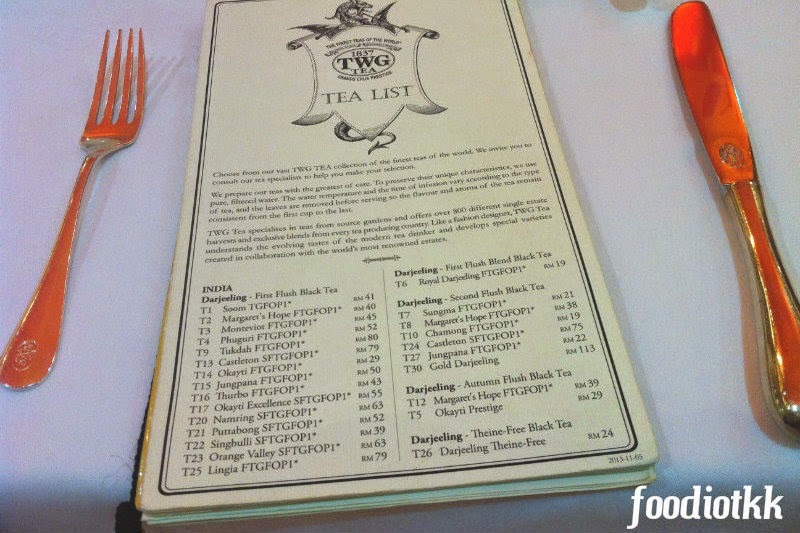 Think this is the most expensive tea TWG can offer? Hell no! 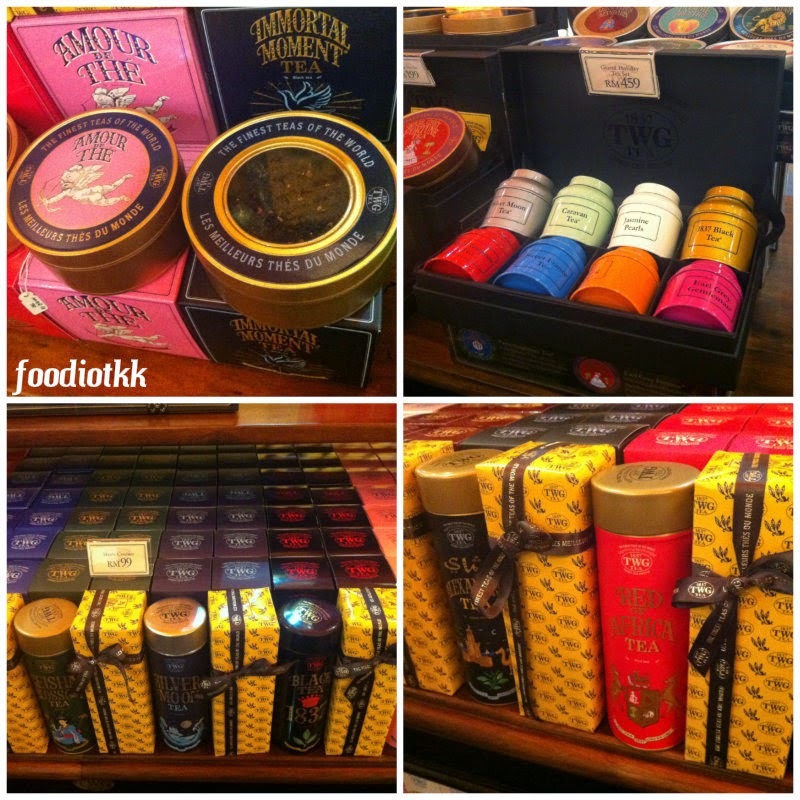 Pay S$850 (around RM2180+) per 50 grams for another gold plated tea named as "Gold Yin Zhen"! After being introduced a varieties of tea, the wait staff passed me this Tea Book and asked me to "sit down and study" HAHA!!! 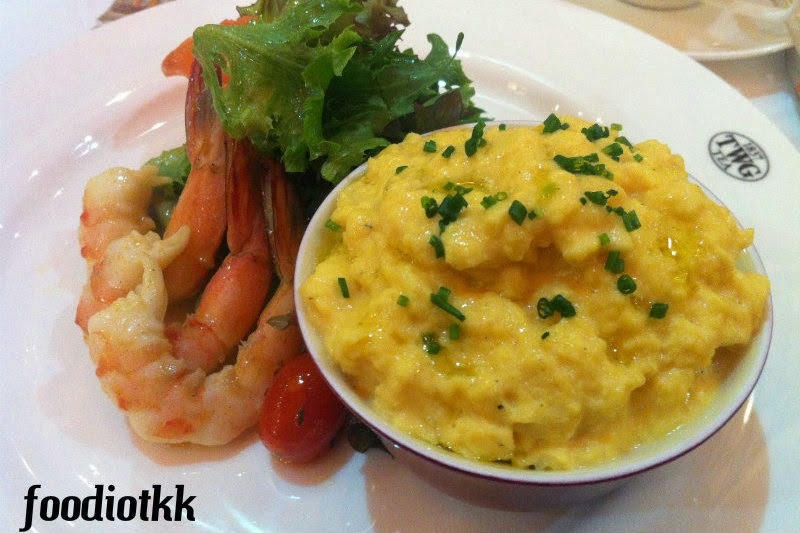 Fresh eggs scrambled with choice of Matcha Green Tea, pure Saffron Thread or White Alba Truffle Oil and served with smoked salmon and a mixed salad of spinach and shrimp. 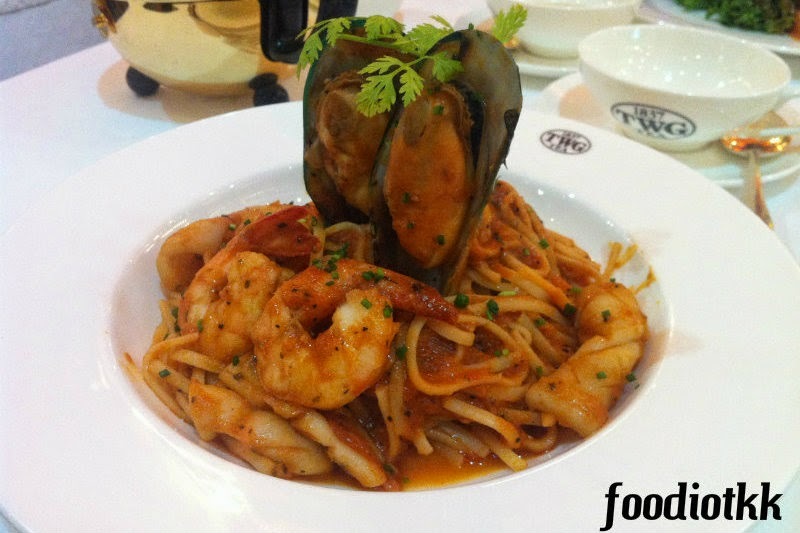 Seafood portion was quite generous here, with a scent of Chai Tea which compete with the equally strong aroma of tomato puree. Very creative combination. 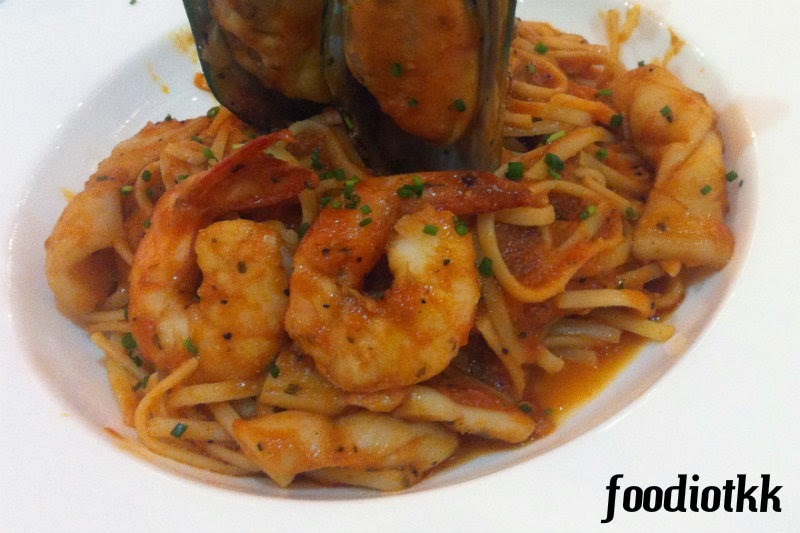 Also available in Pavillion KL, Paragon Mall Penang, and The Gardens Mid Valley (Malaysia outlets).